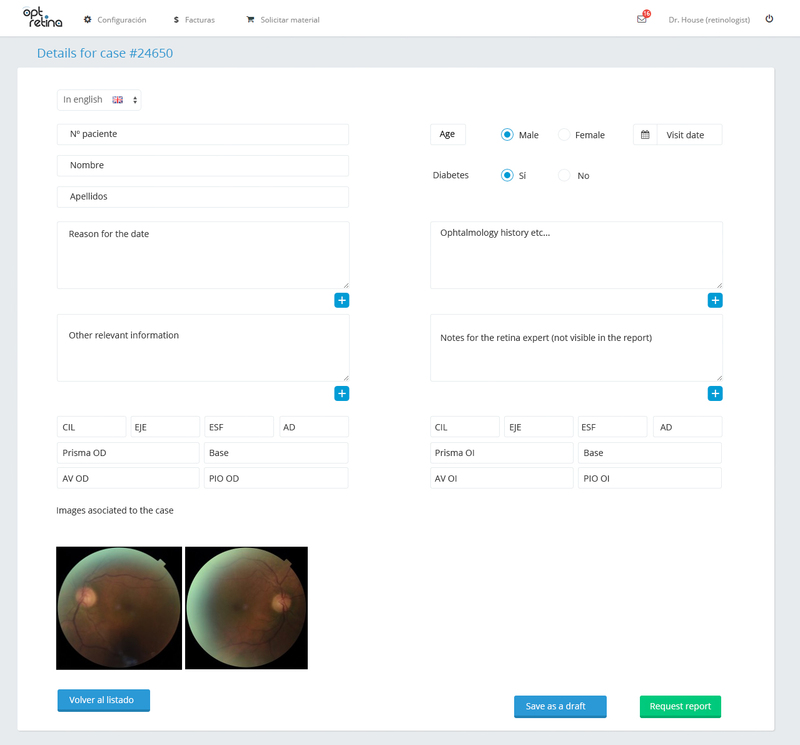 Optretina is a retinologists’ network that evaluates retinal images remotely thanks to the Internet. The health care providers working with them, have a camera that takes a picture of the eye, so for the patient, it is a simple and straightforward process. The doctor only needs to enter the data and results to an online secure platform. 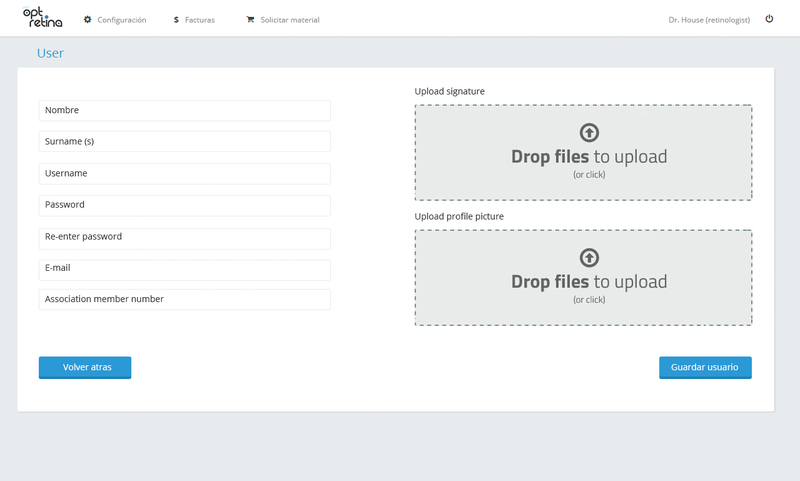 To carry this out, Optretina asked us to redesign and refactor the online platform at the graphic and technical level. The also asked us to coordinate the marketing area, to conceptualize the welcome pack and their other digitals services: blog, WordPress site. We started with a platform analysis, both technically and as UX level. 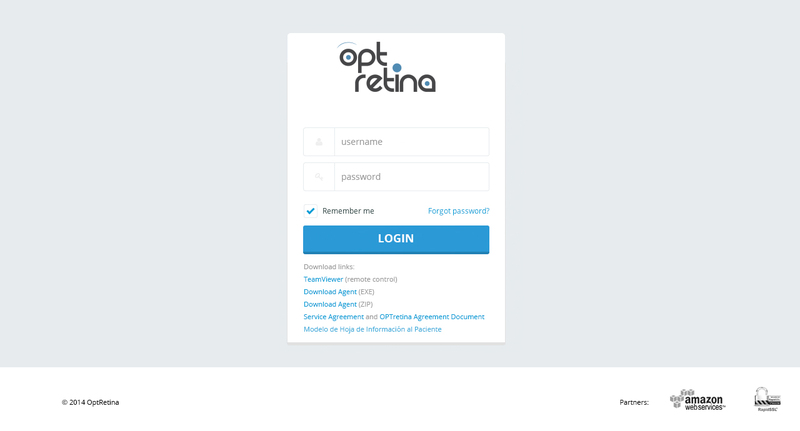 We worked closely with Optretina in the new registration flow, user behaviour and improvements in terms of information architecture and navigation elements. We used AngularJS and PHP to rethink the platform functionalities. The final work – with the conceptualization of content – makes for a more dynamic and faster platform for all users. We also worked as a Digital marketing manager on reviewing the Welcome Pack, we contacted with Muma and created a new one. 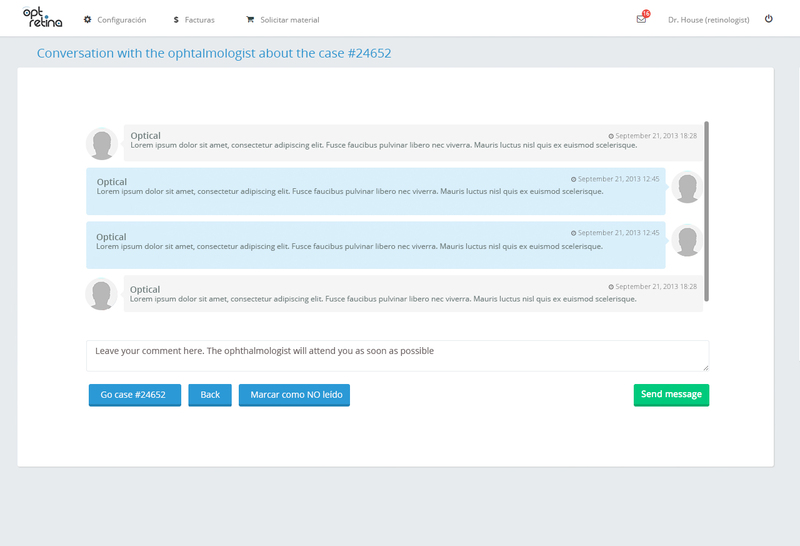 After making a conceptual, technical and graphical analysis, we managed to streamline processes to refactor code and design the platform, in order to get information to flow directly between patient, optician and retina specialist. A new welcome pack created by Muma and a new site and blog for experts. Optretina recently won the 2014 Best Business Initiative Award for their contribution in the early detection of eye diseases by helping prevent some of these culminate in blindness. 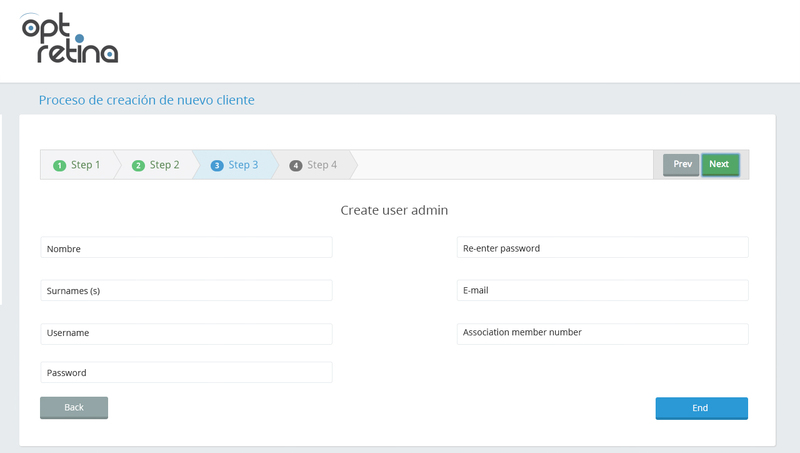 Do you want a custom developed software similar as our work with Optretina?